You should be using microfiber towels, mitts, sponges, and mops for most of your household cleaning tasks. They clean better, use less water, require less (or no) chemicals, reduce bacteria, and are easier to use. Microfiber Towels - Use microfiber cleaning towels for everything from dusting to general wiping. Cleaning with microfiber makes it easy to mop up spills and wipe off messes on fabrics. These household cleaning cloths make for great dish towels, and are great at removing finger prints from wine glasses and beer mugs. 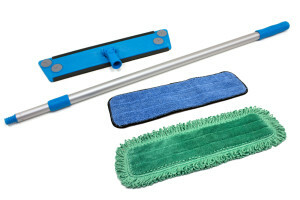 Microfiber Mops - The flat mops with removable pads are lighter weight, and use less water than traditional mops. They store away easily, and you don't need a bucket. Just have a spray bottle ready with a mild cleaner (or distilled white vinegar) spray the floor and wipe. 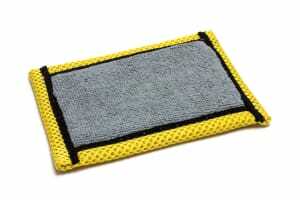 When the microfiber mop pad becomes soiled, switch to a clean one. The dirty pads can be laundered. 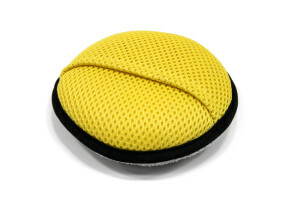 Microfiber Sponges - We have a variety of sponges which work great for general surface wiping and cleaning dishes. Microfiber Mitts - These mitts and gloves can be great for dusting in tight or hard to reach places!